Internships are open on our company in Surat City. Join Trigontic‘s Internship in December 2018 and get experience of working in LIVE projects . We are working on various types of technology. Be the part of ongoing projects and gain knowledge to bridge the gap between educational and professional world. Internships are Currently available for Android , .Net , ASP , etc. languages. All students can apply, who wants to gain some serious experience of working in company and some amazing technology in group work. Internship will start in January , so register as soon as possible. Certification should be provided after end of Internship. 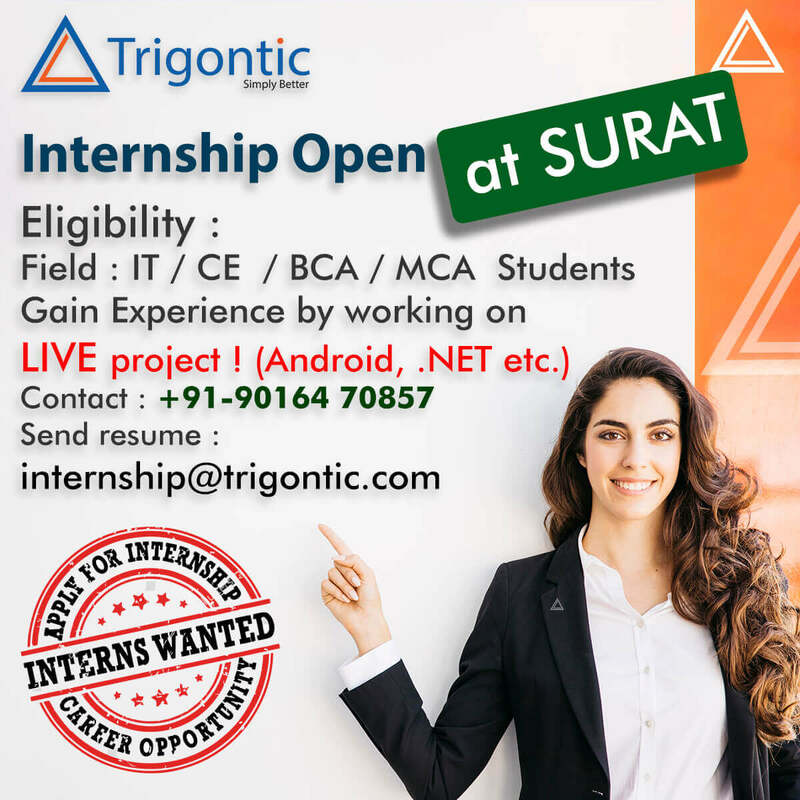 To Register send your resume with passport size photo on internship@trigontic.com or fill the form Below.